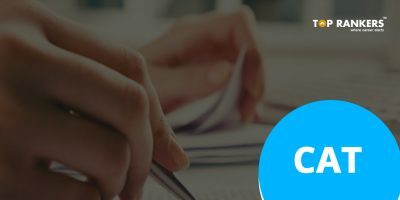 CAT Preparation Tips: Complete Preparation Tips to help you crack "CAT 2017"
CAT Preparation Tips: How to prepare for CAT 2017 and score well in CAT 2017? 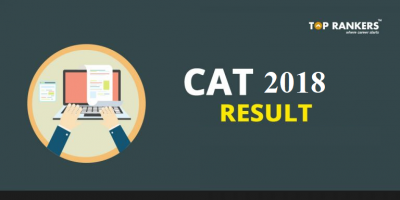 CAT Preparation Tips: You have got some idea on how to apply for the CAT exam, the procedure by which you would be selected for the program and pattern for the exam. The CAT Preparation Tips will help you to decode the exam and find new ways to prepare for the CAT 2017 exam. Online Mock CAT could be taken to make yourself familiar with the Real-time test. A Real-time Mock CAT would prepare you well to take up Online test on the exam day so as to avoid wastage of time in understanding the mode of the test. You could join the CAT test series for taking up online mock tests. You MUST return to the previous year CAT sample paper and solve them so as to get the feel of the actual test. Attempt 2-3 tests every week and analyse them thoroughly. Regular mock tests would make you ready for the three hour test. 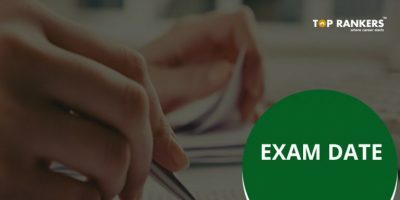 After completing each mock test, it is very important to analyse the performance and evaluate the scoring areas on the basis of CAT exam pattern. Analysing the mock exam could bring a clear picture of one’s strengths and weaknesses. As quoted by Mridul Rajput from IIM-Udaipur who scored a 98.4% in CAT, he had focused on taking up the mock exams, more specifically on analyzing and improving his weaknesses. One MUST go through the explanation of answers to check if you knew the core idea to solve each question. The questions which could not solve should be noted down despite knowing the clear concept. Once you are clear about the specific areas, you should check the CAT preparation material or the textbook thereby practicing the questions on those specific areas. Such practice could help you get better results of hard work you have been doing all these months. There would be no value in the number of tests taken if you don’t learn from the previous tests. Attempting a variety of tests would help you in the Real time exam, as you may take up tests which you would be the most comfortable with and you find more strengths; however CAT exams would have questions testing your weaknesses too. As you evaluate on your own, it is important to focus on your strengths so as to improve on the same. Since most questions are based on the application of core concepts, learning them in the initial stages would not be appropriate. On the other hand, you could make more efforts on the areas you could control and solve questions on the same. CAT Experts have recommended that you need to practice a lot so it would be easier to make connection with the question during the exam. Regular practice with a time schedule set, would not only help in increasing the speed to answer the question, but also make you get used to sit for three hours. 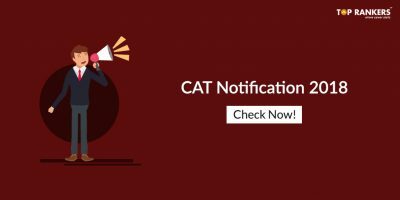 If you expect that the 2017 CAT exam would follow the same pattern as of the last year, you really need to set a target on the minimum as well as the maximum number of questions you would attempt during the CAT 2017. However, experts would suggest, you need to be open with the number during the actual test. Though attempting 20 questions in each sections could give you 98 to 99%, don’t start relaxing that you could reach the target, as the last few attempts could win you over the competitors. When you begin to answer the paper on the D-Day, it would be better if you start from the easier ones. As each each has been allotted with 60 minutes, firstly attempt all those which could be solved quickly. If you are unsure of the answer at the first look, leave it for the moment and attempt others and come back once you are done with all others in the first attempt. Solving the questions quickly could bring in more confidence in answering the difficult questions during the second attempt. As shared by Vivek, a student from IIM, Trichy, he said that as he had focused on the number of questions he had attempted, he had ensured he would keep not more than two minutes for each question. It surely helped him to maximize his attempts. In the Quantitative Aptitude section, he would check if he could solve them in 30seconds. If not, he would leave them even on knowing the answers and would go back to the same after attempting all the other questions. Time Management is the most important part in CAT as questions being ranked becomes the vital area to succeed. It is very important to make sure that less compromise has been given to accuracy. Abhishek Srivastava, PGP student from the 2015-17 batch of IIM Raipur said that while preparing for CAT, he had focused on achieving higher marks with more concentration on accuracy by attempting over 25 mock tests. As speed is more important so as to increase the number of attempts, maintaining a higher level of accuracy is more important to turn the attempts into the score. If you find the questions in the second round of attempt a little difficult, you could go reverse in answering the questions thereby scanning the answer options. These answer options could give a hint in solving the difficult questions. The wrong options could be eliminated at first so as to reduce the number of answer options helping in finding the right option. You need to be well-prepared for the CAT, days before the exam. Spend a day before the test, being stress-free. After a hectic preparations for the exam, you need to take a day-long break to rearrange thoughts and the D-day plan. Forget the weaknesses and be confident in what you know; as said by Sourav Santikari, SPJIMR student from CAT2014 batch who secured 99.39%. He added that you need to be calm; take as many mock tests as possible to create a plan for the exam day. It is very important that you relax and take a good rest after all the hard work and high preparations done for the past few months. The motive of CAT exam is to measure your ability and the amount of effort you have put. Since you have made the best of your efforts, do not worry about the results and the selections. Focus should be more on maximizing the number of attempts with high accuracy. Other part would be played by your honest effort. This is all about how you should be prepared for the D-Day of your exam. Hope these tips would be of a great use to you all to prepare yourself; in all aspects. Please do note the words told by the CAT aspirants who followed certain techniques and have secured high scores in CAT. May the golden words be of a great motivation. Stay tuned for more updates on CAT Preparation Tips!